With Chicago falling just short of having the lowest voter turnout ever in the most recent general election, students in Civics felt as though they needed to take action and combat a few of the reasons for this. On March 15, from 4:45-5:45 p.m., twenty students currently enrolled in Civics set up two tables in Northside’s main lobby. 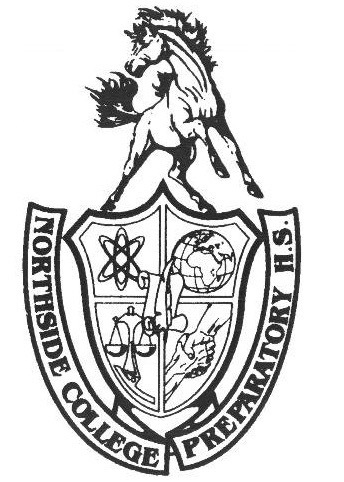 Their goal was to speak with parents, teachers, and others who came to Northside for College Planning Night and either encourage or register them to vote. In the weeks leading up to the mayoral election (as well as a week after), Civics students learned about elections, including why the mayoral election is held in February and some reasons why not everyone who is registered to vote does. Students hypothesized that low voter turnout occurred as a result of inclement weather, an inability to take time off work, and lack of knowledge about the candidates or voter registration. Hoping to make a difference, Civics teachers Ms. Veronica Hetler, social science department, and Ms. Anna Searcy, social science department, brought the idea to the students, many of which were enthusiastic about it. “I like the idea of [my students] being able to get civilly engaged and talk to the public and gain confidence,” said Ms. Hetler. During their time in the main lobby, students spoke with as many parents, teachers, and other staff members as they could. At one table, students handed out pamphlets and posters made by Civics students a few days prior, answered any questions that were presented, and informed all those who stopped by about the two mayoral candidates still in the race, Lori Lightfoot and Toni Preckwinkle. At the second table, students had Chromebooks set up displaying the Chicago Board of Elections website which they used to help eligible voters find their precincts. Students also had papers that helped explain the step-by-step process of how and where people could register to vote.